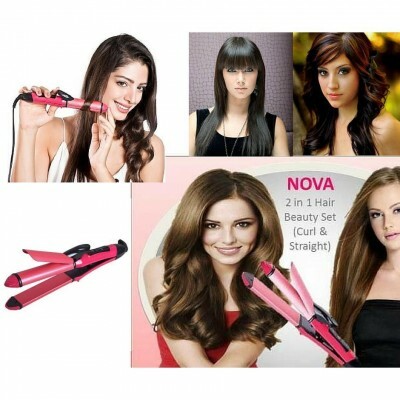 Straight or curl, take your pick with the Nova 2-in-1 Straightening and Curling hair Iron. 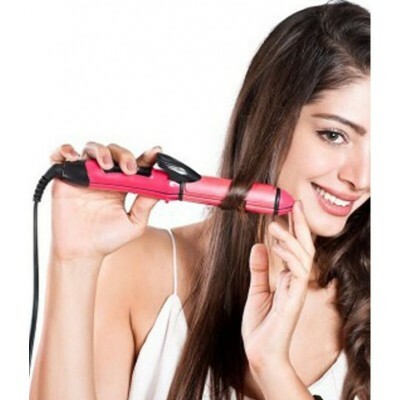 You no longer need to have a flat iron for silky-straight hair and a curling iron to create bouncy curls. 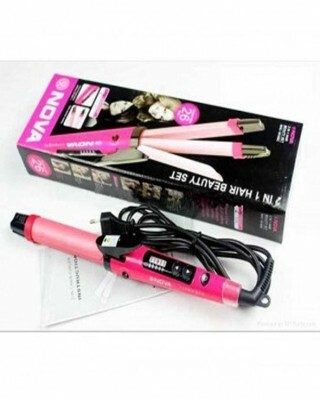 The Nova Hair Iron features a duo design, so you can have both hair styles in just one heating tool. 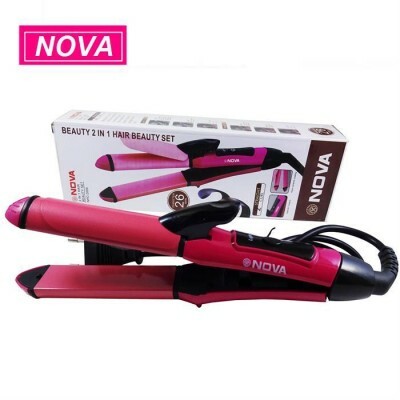 Plus, Nova Ceramic Technology gives your hair even heat distribution, so - your hair keeps its natural moisture. 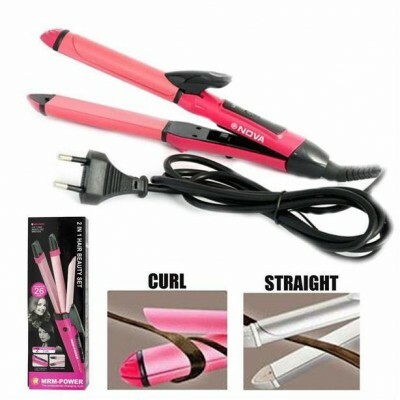 - Features: Swivel Cord: 360-Degree - Rotating Cord. - DIMENSIONS-Plate Size : 30 x 60mm. POWER FEATURES-Power Requirement : 220-240v. BODY & DESIGN FEATURES-Plate Material: Ceramic, Patented Floating. 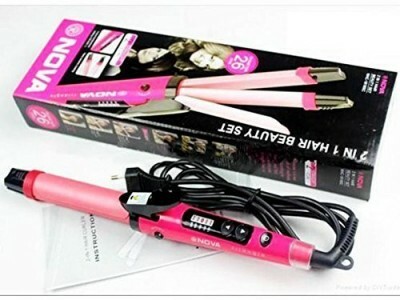 - IN THE BOX: Hair Straightener - 01 Pcs. 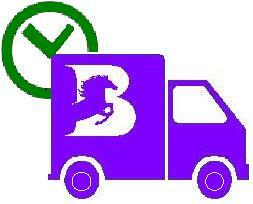 - Note: 100% Brand New & Original High-Quality Product.